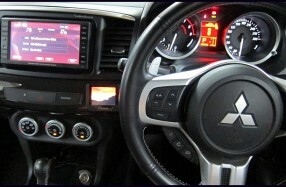 Rebuild a factory option, Rockford Fosgate System. Make musical and add quality Parrot MKi9200 Bluetooth cat kit. 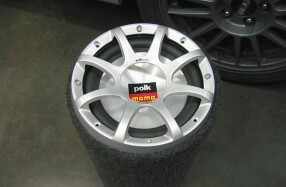 Tony's new Evo 9 came with a very average sounding system. this vented 8" subwoofer custom built tube. 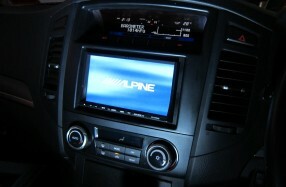 Replace a no brand "ebay" unit with a quality Alpine source.